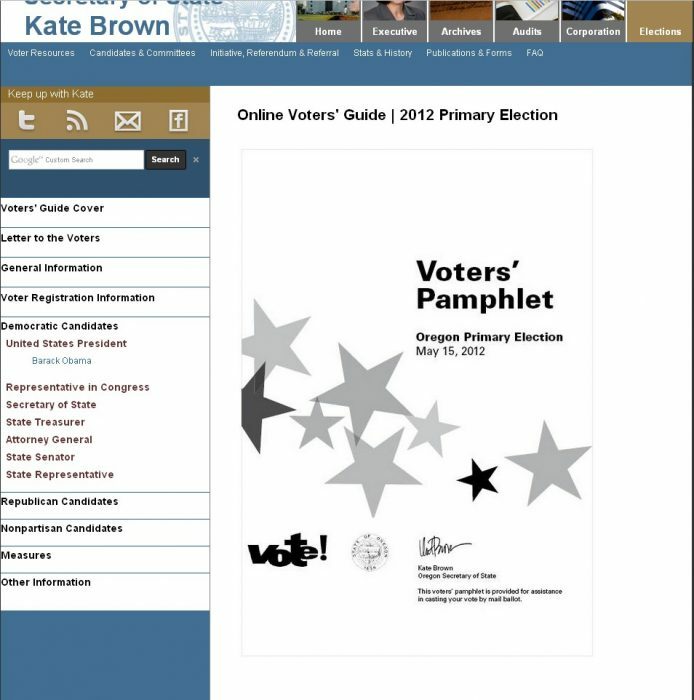 In the most recent example of either incompetence or partisan manipulation, Secretary of State Kate Brown has put her stamp on the May 15, 2012 online Primary Voter’s Pamphlet. 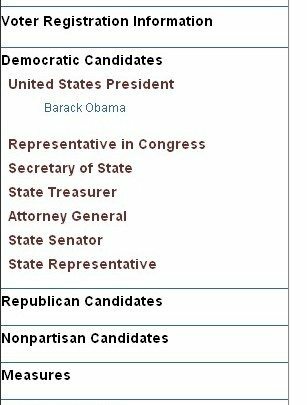 When voters first go into the voters’ pamphlet, they’ll see all the Democratic Candidates’ positions already expanded – and the Democratic Candidate for US President, Barack Obama, already displayed. 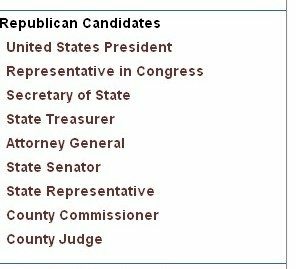 None of the Republican Candidates’ positions are expanded, and when you do click on Republican Candidates (see below), it doesn’t automatically show the Republican Candidates for US President. Yet another ‘technical error’ (which always seem to fall one way) or more partisan abuse of power? UPDATE: As of 4/27/2012 the ‘technical error’ has been fixed. To see what it looked like before it was fixed, click here.